Prior to European settlement there was an estimated 60 000 ha of native grassland in Central Gippsland, around the towns of Denison and Nambrok and between Sale and Maffra. 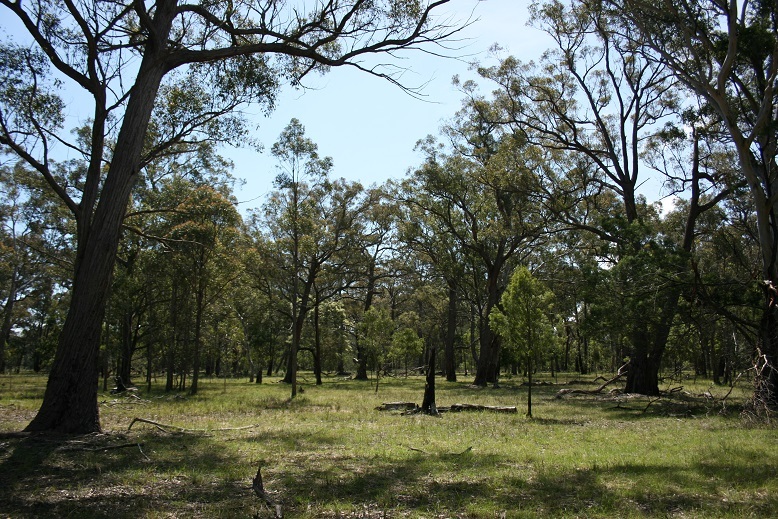 They occurred on an infrequently flooded flat, alluvial plain with clay loam soils that was distinct from the adjacent grassy woodland dominated by Gippsland Red-gum (Eucalyptus tereticornis). Unfortunately, these grasslands have been totally destroyed by irrigated agriculture. However, up to 60 ha of grassland similar to the extinct vegetation community, has been created which has been by frequent burning of the grassy woodland. It occurs in cemeteries and on abandoned railway lines and some roadsides across the Gippsland Plain. Frequent burning of the grassy woodland has created an open, treeless grassland community with a suite of tall flowering herbs. It has a similar composition to native grassland on the Southern Volcanic Plain and is dominated by Themeda triandra (Kangaroo grass) and Poa labillardierei (Common tussock grass). It includes species such as orchids and lilies that are tolerant of frequent burning but intolerant of grazing. Common species include Chrysocephalum apiculatum (Common Everlasting), Carex breviculmis (Short-stem Sedge), Pentapogon quadrifidus (Five-awned Spear-grass), Caesia calliantha (Blue Grass-lily), Hypoxis hygrometrica (Golden Weather-grass), Drosera peltata subsp. peltata (Pale Sundew), Burchardia umbellata (Milkmaids), Pimelea humilis (Common Rice-flower), Tricoryne elatior (Yellow Rush-lily), Schoenus apogon (Common Bog-rush) and Arthropodium strictum (Chocolate-lily). 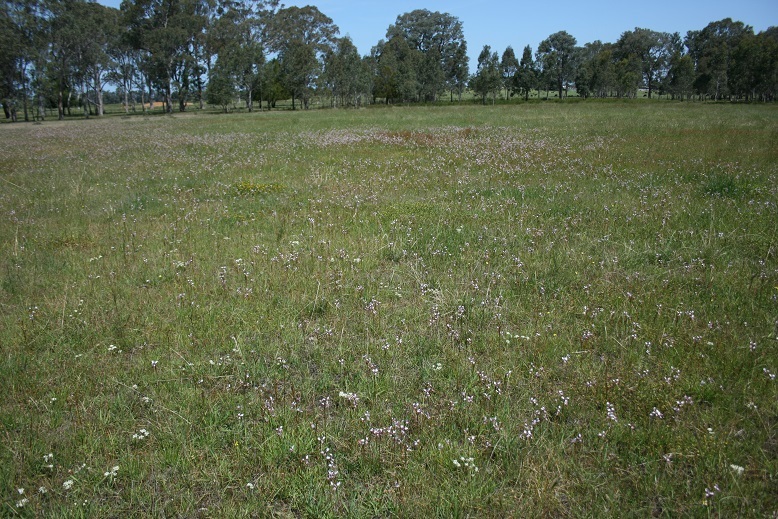 However, these Gippsland grasslands lack the semi-arid species commonly found on the Southern Volcanic Plain. This is evidenced by fewer daisy species and the absence of Eryngium ovinum (Blue-devil), Calocephalus citreus (Lemon beauty heads), Asperula scoparia (Prickly Woodruff), Dichanthium sericeum (Silky Blue-grass) and Ptilotus spp. No grassland specialist fauna species are likely to remain in the grassland form of the community due to its highly fragmented nature and very small extent.